I’m obsessed with the hit Broadway musical Hamilton brilliantly written by Lin-Manul Miranda. It took me two weeks to memorize lyrics to the opening number “Alexander Hamilton” only to discover that my lung capacity wasn’t big enough to actually sing the song at a reasonable pace without needing to stop for a breath midsentence every other sentence. My other hobby is tinkering with maker projects, open-source hardware, open-source software, 3-D printers, Arduino, Raspberry Pi etc. 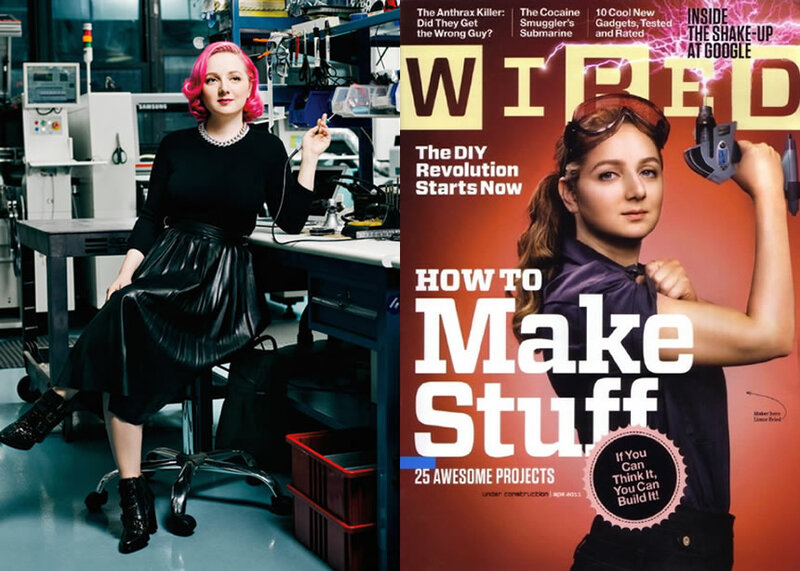 My hero of the open source maker community is Adafruit Industries founder Limor Fried goes by the nickname LadyAda. It occurred to me somewhere along the way that her life of bucking the system, being a self-starter, hard-working leader and pioneer. There is even a hurricane in her story where hurricane Sandy shut down New York for several days but she kept the business going. If you browse around YouTube you can find dozens of Hamilton parodies devoted to a variety of people from German Chancellor Angela Merkel to Mr. Spock and some extremely raunchy ones about Donald Trump which I enjoyed. So I couldn’t resist creating a parody of my own devoted to my favorite maker. I thought about trying to turn it into a YouTube video myself. There are karaoke versions of the music available that people have been using to create parodies. But as a 61-year-old white guy with limited lung capacity, my rapping skills leave a lot to be desired. So I’m just going to publish my lyrics and hope that you could re-create the rhythm in your head that I use when I sing it (badly) to myself. I apologize in advance if I have exaggerated or misrepresented any real events depicted in the song. If you never heard Hamilton or if you don’t know anything about Adafruit industries and founder Lady Ada this will make absolutely no sense to you. But if you know about both, I think you will enjoy it. Go on, to sell, all the parts that makers wanted? Away by UPS, she struggled to keep the stock up. The staff worked so hard to fill out every order. She dug into her checkbook and paid them all the same. But it turns out education is the nature of her game. She bought a HEPA filter so she wouldn’t get sick. She hooked up with a guy named Phil and Phil is still there at her side. When he speaks of her, you can hear his voice is filled with so much pride. Some say that she’s no engineer. She’s just a face that cute. A clean design that sells at prices makers can afford. The cover of Wired magazine. A female role model like you’ve never seen. How we love buying parts from you. They are always top-notch and they always arrive on time. Do they know what you overcame? Do they know you rewrote the game? Don’t ask… It’s still in beta. We surveyed all her colleagues now let’s listen to the data. There’s a million things she hasn’t done. This entry was posted in Maker by cy. Bookmark the permalink.